The Amateur Swimming Association (ASA) Dementia Friendly Swimming project is one of the 30 voluntary sector projects to be awarded a grant by the Department of Health’s Innovation, Excellence and Strategic Development Fund (IESD). A further 11 projects across the autism, chronic or long term conditions, children’s health and mental health sector have also been awarded grants as part of the Department of Health’s Health and Social Care Volunteering Fund (HSCVF) creating the total £5.6million investment. 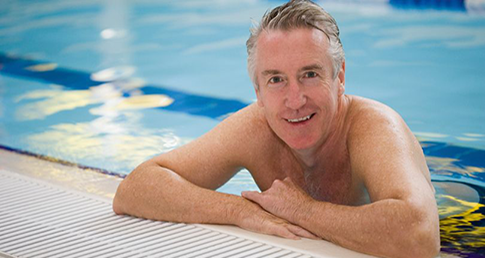 The ASA will use the funding to develop its Dementia Friendly Swimming project which will specifically target the pool environment as well as deliver low intensity exercise, relaxation sessions and structured motivational swimming lessons all within the right environment for those people with dementia and their carers. The project will also involve working with Local Authorities and bring together a partnership of adult social care, health trainers, carers and local community groups to create the right setting for people with dementia. There are 800,000 people living with dementia in the UK which reportedly costs the UK economy £17 billion a year. In the next 30 years, the number of people with dementia in the UK is expected to double to 1.4 million, with the costs trebling to over £50 billion a year. The ASA Health strategy Taking the Plunge for fitter lifestyle reports that leading a physically activate lifestyle and taking part in activities such as swimming can have a significant impact on well-being. Exercise is beneficial for physical and mental health and can improve the quality of life for people in all stages of dementia. Swimming also has added benefits of reducing anxiety, improving mood and enhancing psychological wellbeing. These projects play a crucial role in supporting people, their families and carers. They are examples of just some of the excellent and innovative work going on throughout the country in the voluntary, community and social enterprise sector – all of which help to create and support strong and resilient communities. Dementia is one of the biggest health challenges facing us today. The Dementia Friendly Swimming project will contribute to making a difference to people’s lives, it is designed to create a safe and friendly environment working to lower the barriers to participation. I am delighted with the award from Department of Health and look forward to contributing to the Prime Minister’s Challenge. We can make a real difference through swimming.